Cyber Monday with LRJ Foundation! Shopping Amazon today? Shop though our Link and give! Shopping Amazon today on Cyber Monday or any day? Shop through LRJ’s Link where 5% of your purchase supports our Mental Wellness Educational Programs. Click here, and sign into your Amazon account as usual. Thank you!! 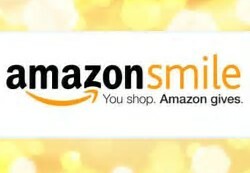 Smile Amazon Support LRJ’s Mental Wellness Programs today and everyday!